Here you can taste the current releases, red and white, dry and sweet. Baily specializes in the Bordeaux varieties (Cabernet Sauvignon, Merlot, Cabernet Franc, Malbec, Sauvignon Blanc, and Semillon), but also makes some fine Chardonnay, Riesling, Sangiovese and Port. The tasting room is open daily from 11:00 to 5:00 (10:00 to 5:00 on Saturdays) and no reservations are required unless you are coming with a group of more than 12 people. Cost is $15.00 (includes souvenir logo wine glass). Carol’s Restaurant is also at the Visitor Center. Here you can taste and purchase the older aged library red wines (Meritage, Cabernet Sauvignon, and Cabernet Franc) in an intimate setting right at the wine production facility. Open Thursday through Sunday from 11:00 to 4:00; reservations required. Maximum group size is 12. Sit-down vertical tasting of five years of one variety of wine presented simultaneously in five Riedel wine glasses, served with bread and cheese. $30.00 per person. Bar vertical tasting of five years of one variety of wine presented presented one after the other in one Riedel wine glass. $20.00 per person. In both formats, a short tour of the winery premises is provided upon request. Join us for our new Library Wine of the Month program. Each month winemaker Phil Baily will pick one of Baily’s Library Wines (wines that benefit from further aging in the bottle) to be featured. The wine will be poured at both of our locations as an added bonus to the regular tasting, and will be available for purchase at a discounted price. No signup or membership fee is required. Wines will include Meritage, Cabernet Sauvignon, and Cabernet Franc from the years 2004 – 2011. All of them are 100% Estate Bottled and made from grapes grown in our own estate vineyards here in Temecula Valley. When visiting either tasting room be sure to ask about this month’s selection. Thank you so much for the amazing experience at Baily Estate Club! We had an incredible time and are so thankful for your hospitality. I will absolutely be sending friends your way. 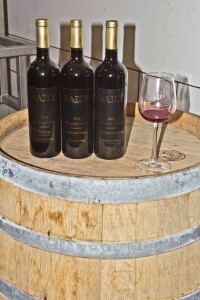 We have visited Baily Vineyard and found them to be one of the best wineries in Temecula. Do yourself a favor and check it out...I work at a winery and was blown away by the quality of wine & service.